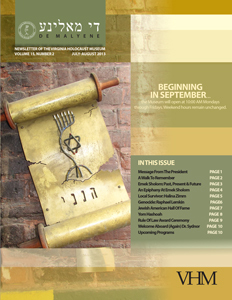 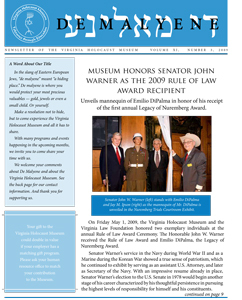 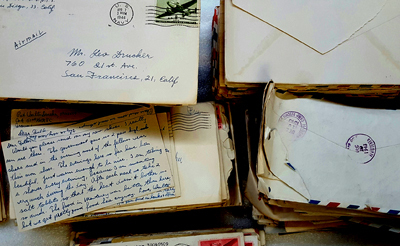 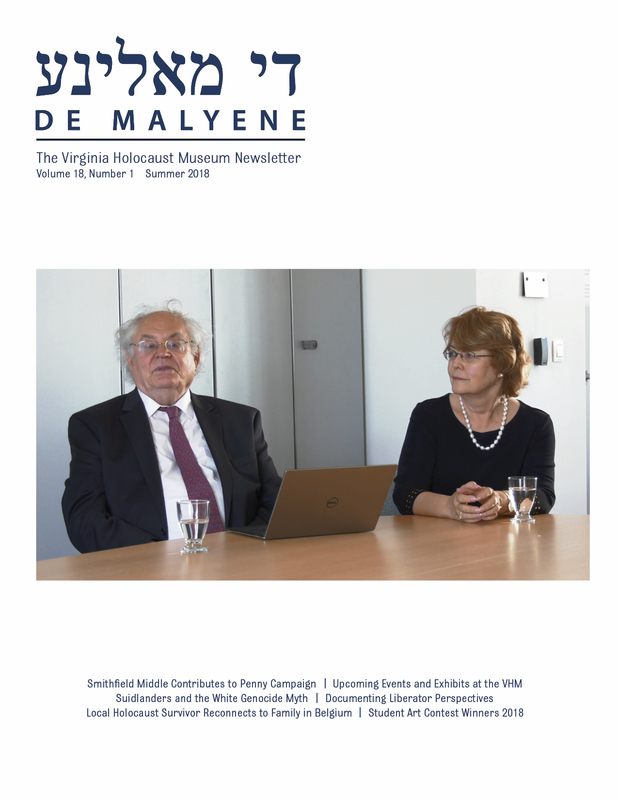 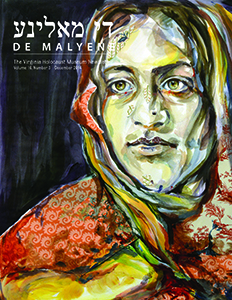 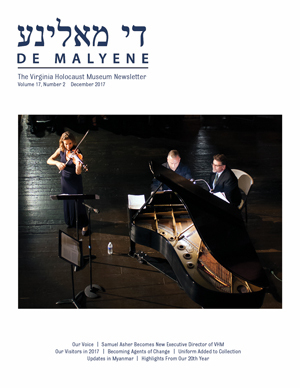 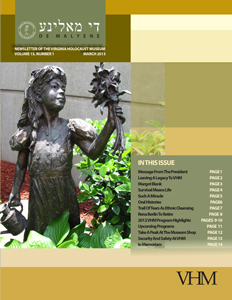 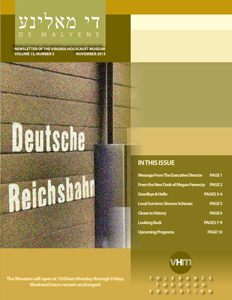 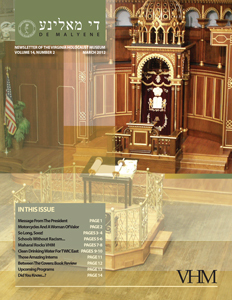 De Malyene is a newsletter produced by the Virginia Holocaust Museum covering the recent events and programs, updates, and news. 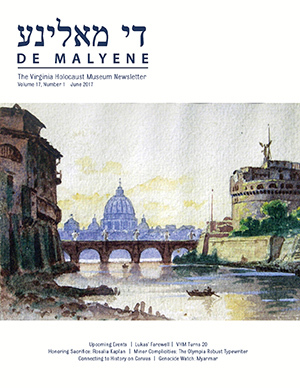 Feel free to enjoy these digital versions of De Malyene. 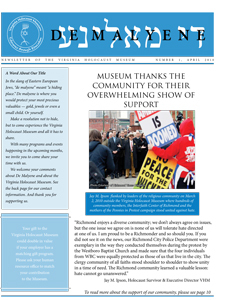 If you like what you see, come experience the Virginia Holocaust Museum with the programs and events it has to offer. 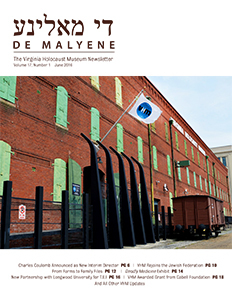 In Yiddish, de malyene means a raspberry bush, but in the slang of Eastern European Jews, it also meant "a hiding place." 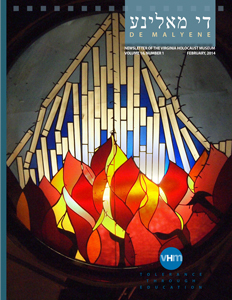 De malyene is where you would protect you most precious valuables–gold, jewels, a small child or yourself. 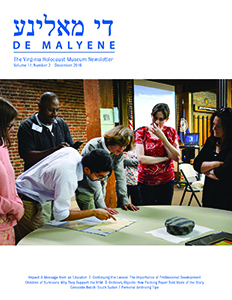 Members of the Virginia Holocaust Museum receive a physical copy of De Malyene. 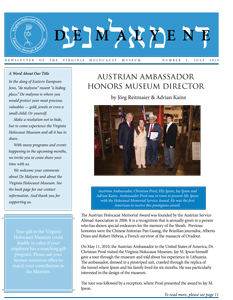 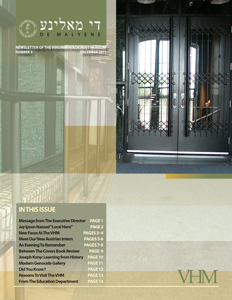 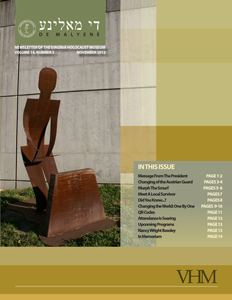 If you are interested in becoming a member and receiving your copy, click here!